Ministry of Labour has call conciliation proceedings to resolve ongoing dispute between staff council and Employees Union and also to Employees Union demand like pay hike etc. 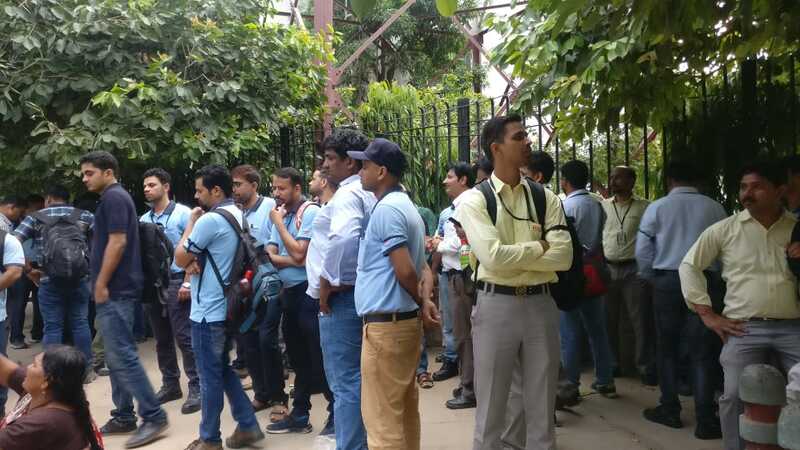 New Delhi: The dispute between Delhi Metro Rail Corporation (DMRC) and its Employees not yet resolved and the strike is continuing since last 10 days with an ultimatum to stop metro services on 30 June in entire Delhi and NCR. Despite resolving the long pending issue raised by Metro employees. The Delhi Metro Rail Corporation Management has approached the regional level commissioner to start conciliation proceedings on the issue. 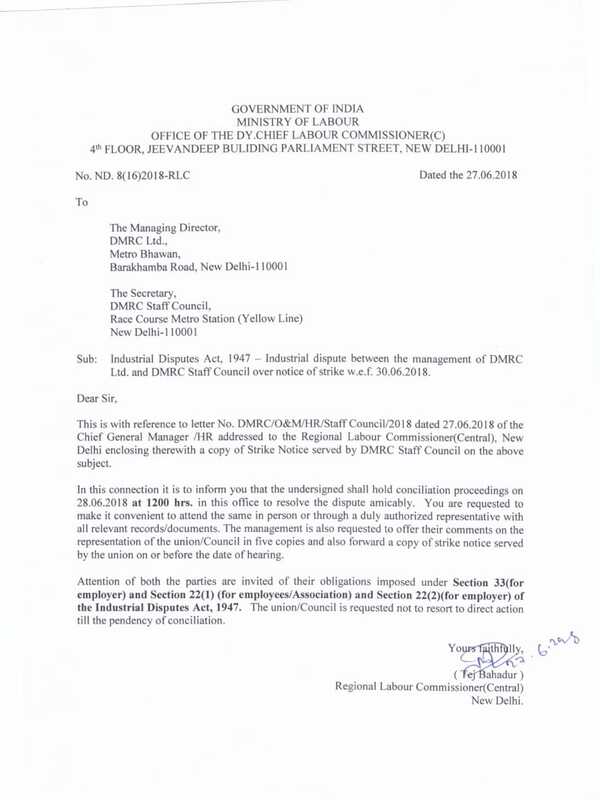 In response to the communication made by DMRC and intimation ( 15 days advance notice) given by the Delhi Metro Rail Corporation Employees Union (DMRCEU), the Regional Labour Commissioner issued a notice to all parties i.e. the Managing Director of Delhi Metro Rail Corporation, General Secretary of DMRC Employees Union and the Secretary of Staff Council and directed all the parties to join conciliation proceeding before the office of the Regional Labour Commissioner at 12.00 hours today. The meeting continues till 7 pm and no final outcome came out. The commissioner has directed to all the parties to resolve the dispute on tomorrow morning and come back by 2.30 pm and report the final conclusion at his office. “In this connection, it is to inform DMRC management that the undersigned shall hold conciliation proceedings on 28.06.2018 in this office to resolve the dispute amicably. You are requested to make it convenient to attend the same in person or through duly authorized representatives with all relevant records/documents. This management is also requested to offer their comments on the representation of the union /council in five copies and also forward a copy of strike notice served by the union on or before the date of hearing. On 28 June Ministry of Labour to resolve an Industrial dispute between the management of Dmrc ltd. And DMRC staff council over notice of strike on 30.06.2018”, stated in the notice issued by Regional Labour Commissioner to all the parties. 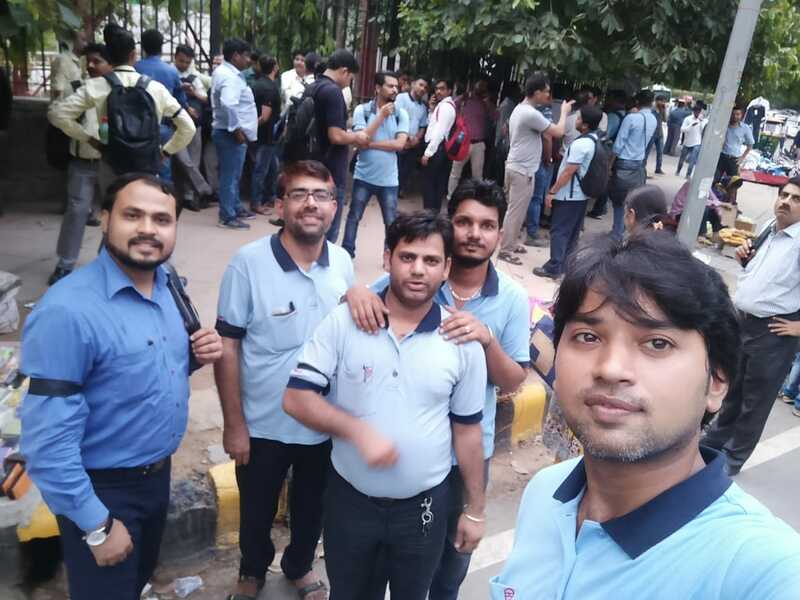 This step of Ministry of Labour was expected to give a new ray of hope to Delhi Metro Employees, but after the conciliation proceedings result has disappointed employees. The Union/Council is requested not to resort to direct any action till the pendency of conciliation. In may 2015 a meeting was conducted between DMRC management and Staff Council to provide some pay hike to maintainer cadre employees as they were getting less salary since 1 January 2007 due to irregularities in pay fixation/pay revision by the DMRC. The DMRC accepted its mistake and issued their decision to upgrade the initial pay scale of maintainer from basic salary 8000 to 10170 and also agreed to merge two scales of its supervisory cadre. But no action was taken by the DMRC on its decision even after completion of two years. Aggrieved with no action on their own decision of DMRC, the metro employees started their protest in mid of 2017. Despite resolving the issue the DMRC management taken an autocratic action and terminated an employee who was the best performer and was working on the post of RTI Supervisor in DMRC headquarters by alleging some baseless charges against him and even not given any reasonable opportunity to him. After the interaction with the terminated employee, it was revealed that the actual reason for his termination was that he has reported a complained to CVC against irregularities/corruption in recruitment by some HR officer of DMRC. Apart from this, the DMRC has issued major penalty charge sheet to two Staff Council members. Aggrieved with the autocratic action taken by the DMRC management, about 11000 Metro Employees took a stand against DMRC and started strike with an ultimatum to shut down the metro services if the terminated employees are not taken back unconditionally and other pending issues not resolved. Taking seriousness of the issues raised by the employees a high-level meeting conducted on 22nd and 23rd July of 2017 after consultation with Ministry of Housing and Urban Affairs, Government of Delhi and the principal adviser Dr E. Sreedharan. The meeting was chaired by DMRC Managing Director Mangu Singh and most of the full-time functional directors of DMRC along with staff council member have participated. In the meeting total 14 points, Agenda discussed and the management given assurance to the employees to full fill the all demands within two months of time but nothing was done by the DMRC management and even though the terminated employee not taken back. However, the DMRC management had issued a misleading press statement to the media assuring that all pending issues have been resolved and the terminated employee is taken back. On 8-06-2018, an email letter was written by Ravi Bhardwaz secretary Staff Council to the Managing Director of Delhi Metro Rail Corporation (DMRC) to resolve the issues raised in a meeting of 22nd and 23rd July of 2017 and mutually agreed by the DMRC management. 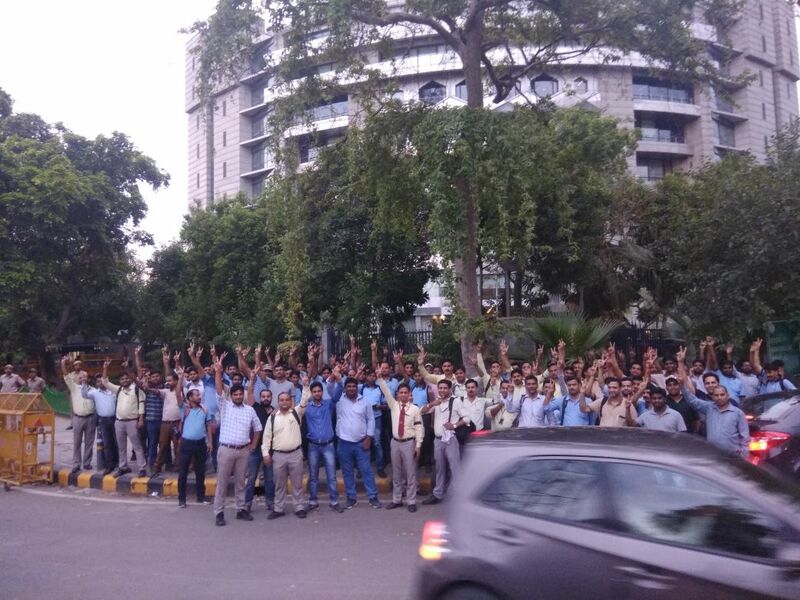 As no positive response received by the Managing Director of DMRC, the all non-executive employees of DMRC have decided to go on strike. 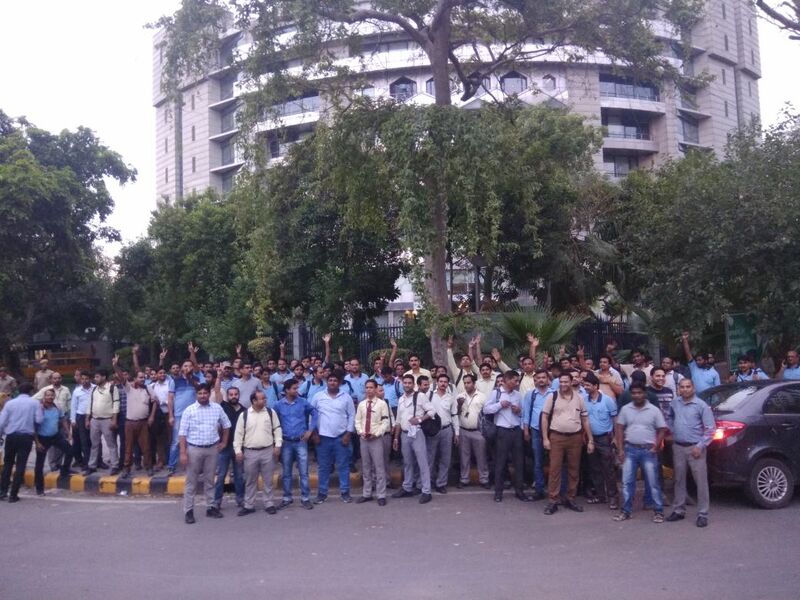 After the conciliation proceedings, the DMRC employees have decided to continue their strike till their demand is fulfilled as they are dissatisfied with the action of Regional Labour Commissioner. “We will wait for tomorrow morning proceedings report if they do not fulfilled our demand. we will stop Metro services on 30 June”, stated by DMRC Employees Union and the Staff Council jointly in a video statement. “We will wait for tomorrow morning proceedings report if they do not fulfil our demands. we will stop Metro services on 30 June”, stated by DMRC Employees Union and the Staff Council jointly in a video statement. We hope that tomorrow proceedings will bring positive results so that over 32 lakh Delhi Metro commuters in Delhi and NCR will not get affected. And DMRC will not repeat their mistake as committed in past and decision will give permanent solutions to end the dispute.